Yuut Elitnaurviat is proud to announce the grand opening of the new FAA certified Yuut Elitnaurviat Aviation Maintenance Technician Program. Our state of the art facilities are ready and waiting for our first cohort of students. Airplane Mechanics, commonly called A&P Mechanics, are in high demand both here in the Y-K Delta and nationwide. 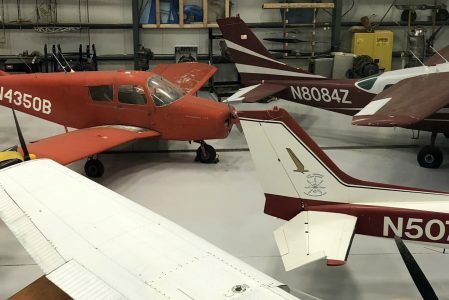 This 18 month intensive program will result in one of aviation’s most sought after credentials and it is being delivered right here in Bethel, Alaska. YAMT 101 – Aviation Maintenance Technician: General – 73 days; 438 hours. Tuition: $10,000 includes all instruction, books, and supplies. Prerequisites: High School Diploma or GED, minimum of eighteen (18) years old. Maximum class size of 15 students. YAMT 201 – Aviation Maintenance Technician: Airframe – 130 days; 780 hours. Tuition: $15,000 includes all instruction, books, and supplies. Prerequisites: High School Diploma or GED, minimum of eighteen (18) years old, YAMT 101, or permission of Director of Programs. Maximum class size of 15 students. YAMT 202 – Aviation Maintenance Technician: Powerplant – 121 days; 762 hours. Tuition: $15,000 includes all instruction, books, and supplies. Prerequisites: Prerequisites: High School Diploma or GED, minimum of eighteen (18) years old, YAMT 101, or permission of Director of Programs. Maximum class size of 15 students. This is the first program of its kind delivered in Rural Alaska. If you think you are up for the challenge, TABE tests can be proctored through our Adult Basic Education program no matter where you live. To set up a test, please contact 907-543-0951 or 907-543-0952. Financial aid may be available through state and tribal programs, and boarding options are available on our campus.